I hope your week was great. Now that we’ve hit the weekend I have a couple of great books you could pick up to enjoy while you take a few moments for yourself and relax. I read these 2 books at different times but I loved them enough to listen to them again. With my crazy schedule audio books have been my best option. I will be the first to admit that there are some books you want read or have to read. Audio books aren’t great for all books. However, these 2 work either way. 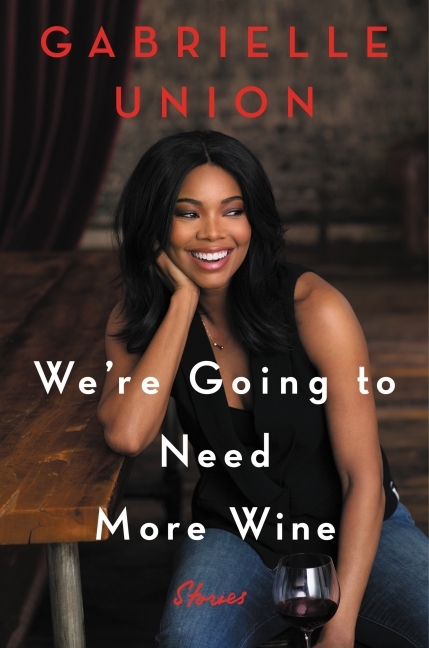 The 2 books are ‘We’re Going to Need More Wine’ by Gabrielle Union and ‘Born a Crime’ by Trevor Noah. Now both of these books were read by the author. That was the greatest way to listen to the books. It felt like I sat down with them to talk and listen to their stories. I loved it. ‘Born A Crime’ I listened to last year. I so wanted to write a review on it. I’m not sure why I didn’t. Now I’m seeing the book become popular again as talks of a movie begin to surface. So, I figured I’d add my 2 cents. Wow, I must say. The book was wonderful. Of course it was funny. I couldn’t help but laugh at stories from Noah’s childhood and wonder about life. It’s amazing how our environments and life experiences shape the way we see the world. He gives us a glimpse of Noah growing up as well as into the impact that apartheid had on him, his family and community. The most brilliant humans are created in adversity. Trevor is definitely one of those diamonds. I loved the book. One thing about reading or listening to an autobiography is that you learn about the way a person sees the world through their experiences. I had no idea of the extent that the Dutch went through to create apartheid. I learned about their system in college when I took a class. I was curious to how people could treat another human the way they treated South Africans. I’m no closer to understanding it other than selfish greed. Wanting what you desire so badly you have no consideration to the people who will help you keep your desire. I see slavery along the same lines. I always have. To learn that the Dutch studied racism in different countries to create their own was unbelieveable. I would definitely recommend reading ‘Born A Crime’. Or listen to it. My favorite of this year ‘We’re Going to Need More Wine’. I will say now, that I would recommend you to read or listen to this book. I absolutely enjoyed her autobiography. Hearing her voice tell me we’re going to need more wine made me feel like we were girlfriends getting ready to dish about our lives. I loved it. Union was real. Hearing her story gave me a larger glimpse into her world. It helped me to see her for who she was and is. It took a lot of courage for her to lay her life open that way. Cudos to you, Ms. Union. If people didn’t think it before I hope they do now. You are one of us. Just another human making her way. I always wondered how people can be so hard on stars. Why do we judge them so? Yes, they are in the spotlight, but they are human. The only difference between stars and ourselves is that no one is holding a spotlight on our lives. When we criticize others we should remember that we are also not perfect. I felt the emotions as she spoke to me about her life, her view of the world and how she kept herself moving during the worst times. And I admire her for that. There were so many things that Union and I agree on. As she spoke I connected to her ideas as a woman of color, as well as a black woman. I understand her pain and often wonder how to avoid the obstacles that we are forced to face. Colorism is a big issue that has been around for centuries but it now seems to be on people’s radar. Communities of color around the world face the same issue. Being that we live in a Eurocentric world being lighter has been the created default. One that is taking centuries to escape and we don’t seem any closer to everyone appreciating each other for who they are and their individuality. Gabrielle spoke about the way the world sees our black men and I cringed with her as she told her stories. It is absolutely disheartening and yet we have no solutions to this huge problem. I’m not a person who reads a lot of autobiographies. I’m more of a fantasy person. I guess mostly because there are things in this world that we face every day. Some scarier than others. Since I have no choice but to face them, I love a fantasy world where I can escape the pain the world forces me to deal with. I read these because I admired the people who wrote them and I knew their the books were going to be as interesting as they are. Audiobooks read by Author is the best. I will definitely check if my library has these audiobooks. Great review.